Built 1911, one of the oldest unaltered purpose-built cinemas in Britain. Previously a furniture storehouse stood on this site which burnt down in 1910. In the early days of cinematography shows were given in booths and various existing halls but after a number of tragic fires, Parliament passed the Cinematography Act 1909 which specified structural fire precautions. 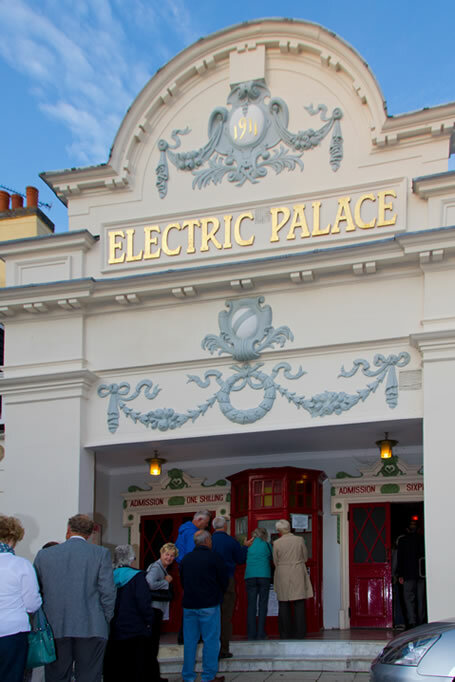 The Electric Palace was therefore one of the earliest purpose made cinemas in the country. It was built for Charles Thurston the well-known East Anglian showman. It was designed by Mr H R Hooper ARIBA of Ipswich and the original plans are still in existence. It was opened by the Mayor in November 1911 after which King’s Quay St became the Mecca of Harwich nightlife. For nearly four decades the Palace struggled on, never doing badly enough to close, but never doing well enough to justify enlargement or a major facelift. The coming of sound in 1930 gave a boost, but it was short-lived. Then in 1953 the cinema was inundated by seawater due to the East-Coast flood of that year, which forced it to close. Although it was dried-out, repaired and reopened, the floods had affected more than just the cinema, nearby housing had also been affected reducing further the local population. This proved to be the ‘last nail in the coffin’, and the Palace closed after 45 years of operation on the 3rd November 1956. For the next 16 years the building lay abandoned and largely forgotten until in 1972 it was discovered by Gordon Miller of Kingston Polytechnic, who was leading a group of students on a survey of Harwich. He was amazed to find this virtually unaltered relic of the early period of cinema architecture lying forgotten in a Harwich side-street. He was also disturbed to discover that the town council was intending to demolish the entire block of which the cinema was a part to provide additional parking space for Lorries. With the aid of the Harwich Society he obtained a listing for the cinema as being “a building of sociological interest” in September of that year. 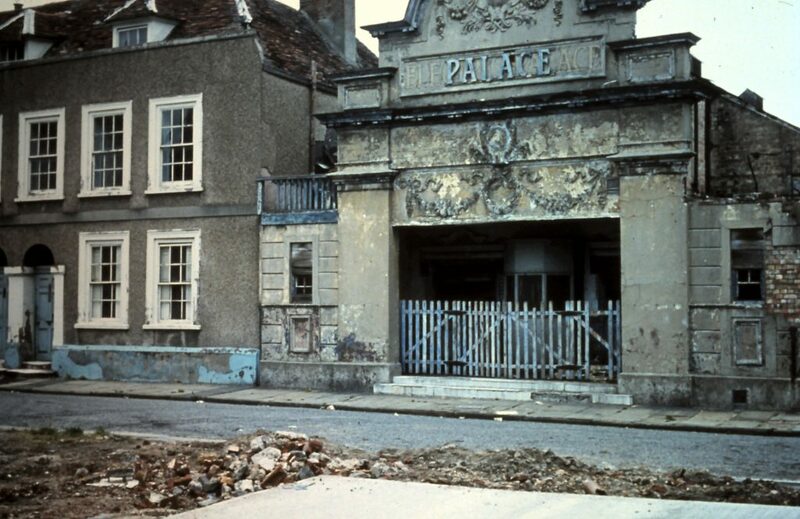 In April 1975 the Electric Palace Trust (a sister organisation of the Harwich Society), was formed with the aim of restoring the cinema so that it could, again, be used as a fully operational cinema. The council granted a “repairing lease” to the Trust in May of that year and restoration started, initially using mostly volunteer labour. It reopened to members in 1981. It is run by volunteers. The Electric Palace now runs as a community cinema showing films every weekend.